In an otherwise quieter weekend, four elite CS:GO teams will be lighting up the Barclays Center for ESL One New York. The big story so far is that both Cloud9 and Team Liquid managed to eek out spots in the semifinals despite the best efforts of European powerhouses Astralis and Na’Vi. That the unlikely triumphs came on home soil in front of a North American crowd made it all the better. Both favorites will have their work cut out for them against a formidable FaZe squad and a top-tier Brazilian side in SK Gaming. 2017's ESL One in New York City is here with the semifinals set for today following Friday’s group stage. 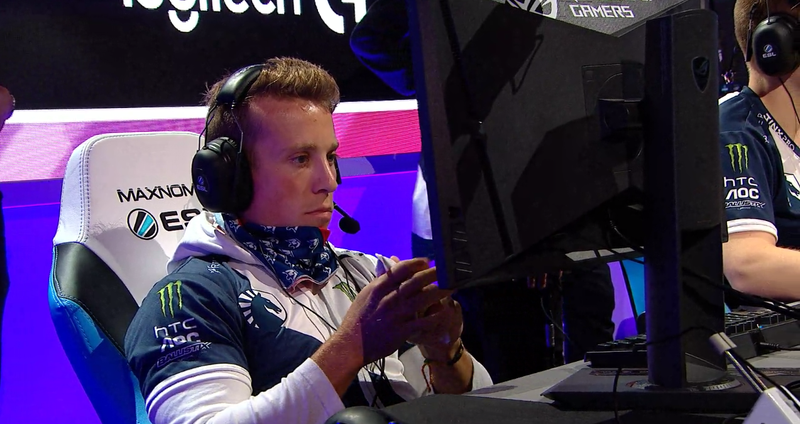 There are some fresh faces this time around with SK Gaming vs. Team Liquid in the first leg beginning at 12:00PM EDT today, followd by FaZe Clan vs. Cloud9 at 3:30PM. Then the grand finals for the $250,000 prize pool event will kick-off on Sunday at 2:00PM. Season 1 of Overwatch Contenders continues this weekend as eUnited start things off today against Bazooka Puppiez at 1:45PM EDT with the action wrapping up later in the evening at 7:15PM with Immortals vs. Renegades. On Sunday Cloud9 vs. GamersOrigin at 1:00PM with matches concluding at 7:00PM with EnVyUs vs. EnVision. It’s a busy couple of days for SFV with tournaments scattered across the globe, beginning with Brooklyn Beatdown Round 2 at ESL One. Top talent will compete over at $50,000 pot with top 8 set to begin on Sunday at 10:45AM EDT. You can stream that tournament here. In addition there’s Thunderstruck V in Latin America, Street Grand Battle in Europe, and Ozhadou Nationals 15 in Asia, where you can also catch tournaments in Tekken 7 and Injustice 2. You can find more information on the brackets and schedules for those events here. The best Halo teams in Europe will face one another in the HCS London event with $25,000 on the line and three spots to compete in the fall championship finals at DreamHack Denver. Matches start at 7:00AM EDT both today and Sunday, with the grand finals slated for the early afternoon that day. Smash the Record is this weekend, a competitive gaming and speedrunning event that will feature, among other things, a bunch of Smash Bros. tournaments. Matches for Melee and Smash 4 will be ongoing throughout the day, with top 8 beginning on Sunday at 7:40PM EDT. You can find a complete schedule for the event, including side tournaments and the speedrunning itinerary, here. Meanwhile, you can stream the matches here. Week 9 in HotS concludes this weekend beginning today in Europe at 12:00PM EDT with Playing Ducks vs. Tricked Esport. Then in North America the action picks up at 5:00PM with Team Freedom vs. SpaceStation Gaming. The 2017 HCT Europe Summer playoffs are coming to a head this weekend. Matches are ongoing today and Sunday starting at 11:00AM EDT with the top 4 players advancing to the Summer Championship in October. You can stream the $25,000 event right here. Despite being on the eve of a new Marvel vs. Capcom game, MvC3 is still going strong with a big competitive tournament this weekend in The Curleh Finale. Pools will be going on throughout today, with top 8 slated to begin on Sunday around 7:00PM EDT. It’s week 2 of the RLCS season 4 and kick-off begins at 3:00PM EDT today with Rogue vs. FlyQuest. Then on Sunday the action begins at 12:00PM with Method vs. FlipSid3 Tactics. It’s the second week of the Smite Fall Split with matches at 1:00PM EDT today when Burrito Esports faces Team Dignitas and going into the evening, followed on Sunday by matches starting at the same time kicked off by SPL Gatekeepers vs. Spacestation Gaming.